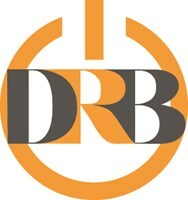 DRB Electrical Services Ltd - Electrician based in London, Greater London. DRB Electrical Services LTD are experienced NICEIC approved contractors based in South West London. We carry out all types of electrical work in domestic, commercial and industrial environments ranging from shop re-fits, full re-wires, fuse-board changes,general maintenance,fire alarm installations, CCTV, door access, landlord certificates, EICR'S, emergency lighting tests, We also undertake smaller works like additional sockets , extractor fans, garden lighting, cooker installations and so on. All our work is fully insured and all our operatives are DBS checked to offer our clients absolute peace of mind. We pride ourselves on our customer service and the quality of our workmanship . No call out charge. Free no obligation quotations. 24/7 emergency service. London,Central London, South London, SW1, SW2,SW3, SW4, SW5, SW6, SW7,SW8,SW9, SW10, SW11, SW12,SW13,SW14,SW15,SW16,SW17, SW18 and SW19.